There is a big drawer full of yarn in my office that I have to clear out before I buy more. It’s going to be hard, but I am convinced I can do it. The easiest way would be to crochet a huge colorful blanket and use it all at once, but that probably would not serve any purpose since we already have a ton of blankets in our house. 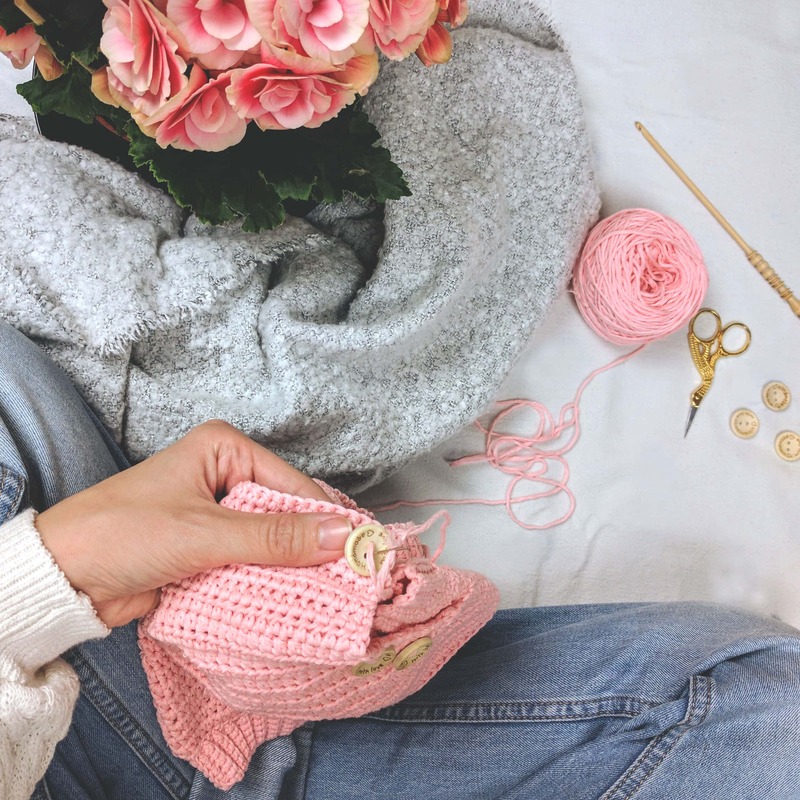 Instead of crocheting one big blanket we will crochet a bunch of new things and write a lot of new crochet patterns. 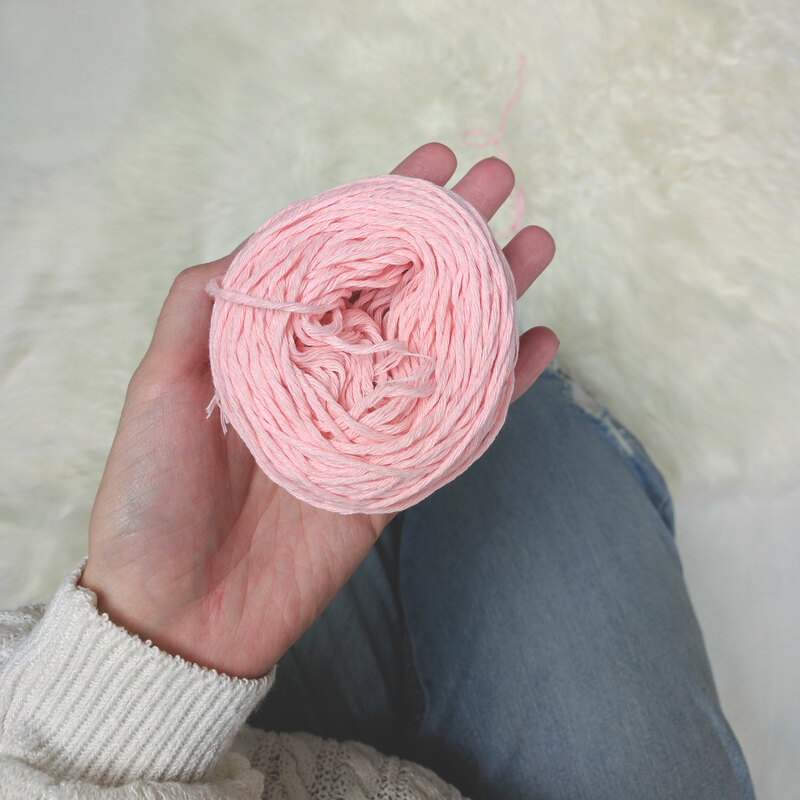 We will start with Drops Paris 100% cotton in light pink. This is a Worsted or also called in the UK Aran weight yarn. It comes in balls and one ball weights 50g or 1.76 oz. For this project, for the smallest size, we are going to need at least two balls. I would recommend you to buy three. Because you never know where you will add additional stitch or row to make your romper fit the way you want. 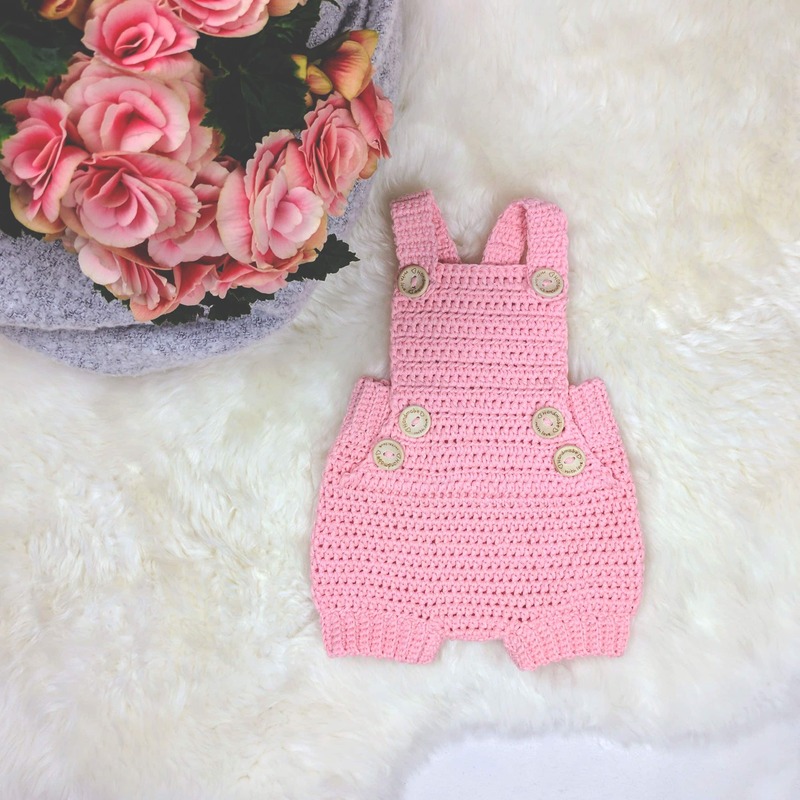 In the pattern are also provided instructions and tips that will help you understand the pattern better and will tell you which row or stitch you should repeat to make the romper the way it needs to be, so larger or wider, to fit the baby perfectly. But as always you can use any yarn you like, just check the gauge before you start and if is correct you are ready to go. Of course, the yarn would not be enough, there are some friends that have to join the party as well. 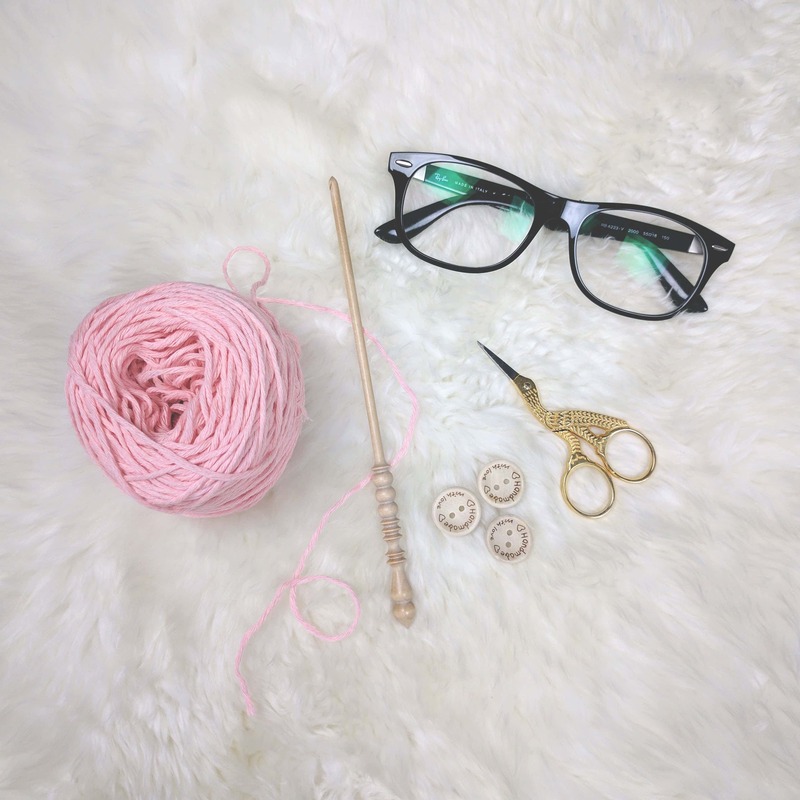 So, you will need 4.5 mm or G/7 crochet hook for the main part, 3.00 mm or D/3 crochet hook for the ribbing, six 20 mm or 0.78 inch big buttons, yarn needle and a pair of scissors. After a few days of crocheting and tearing my work apart and crocheting again, I finished the romper, wrote the pattern and uploaded the PDF in my Etsy, Ravelry, Love Crochet and Craftsy shop. So many different platforms where you can buy my patterns. You can leave a comment and tell me which one is your favorite. The pattern comes in 3 sizes: newborn – 3 months, 3 – 6 months and 6 – 12 months. And here it is, cute baby romper. It took me a few days to finish it from the idea to the final item, but I would say you can finish it in one lazy afternoon with your favorite TV show and a cup of tea or coffee. Hope you will like the pattern and if you decide to make your own, share it with us using #crobypatterns on Instagram, Facebook or Twitter. I just love to see your creations. Thank you so much for stopping by. Make sure to come back soon. I weekly share new crochet ideas, lessons and tutorials. It’s most of the time baby themed but here and there you can find tutorials for adults as well. Have a wonderful day and happy crocheting!